The old 'South Course' with a touch of Pete Dye. The Ackerman-Allen Course, a Pete Dye design, is an 18-hole, parkland-style, par-72 championship golf course featuring large bent-grass greens, fairways and tees. The layout presents a challenge for golfers of all abilities with rolling hills, tree-lined fairways, white sand bunkers, and minimal water hazards. Ackerman-Allen offers five sets of tees with the championship tees playing over 7,500 yards and the forward tees playing at 5,300 yards. We are excited to have created our own distinctive venue by renovating Purdue's historic South Course under the creative magic of world-renowned golf course architect Pete Dye, who is donating his services. Ackerman- Allen - formerly the Purdue South Course and later Ackerman Hills - originally was designed by Indiana Golf Hall of Famer Bill Diddle and built in 1934. It hosted the 1961 NCAA Men's Championships at which Purdue won the team title and Jack Nicklaus was the medalist. The course was modified in 1968 by Larry Packard to accommodate the expansion of the Tower Acres residential area. It was further developed from 1996 to 1998 as part of the opening of the Birck Boilermaker Golf Complex. The objective was to maintain the course's current parkland style and ensure that it is enjoyable for all to play with many of the same challenges that existed. At the same time, we added length in order to host championship-caliber events, while offering a variety of tee options to accommodate all skill levels. With the addition of two new holes adjacent to Cherry Lane and McCormick Road, we have expanded the course's footprint to allow for better spacing and overall flow of play. Modern agronomic standards for turf varieties, drainage, irrigation, tee box areas and tree placement and replacement were included in the renovation. The severe sloping of many of the old greens was modified to accommodate the green speeds demanded and desired in today's game. The project also addressed wetlands mitigation and storm-water runoff issues that impact the course as well as the campus footprint south of Stadium Avenue. The renovation was conceived by alumnus Jim Ackerman and Purdue director of golf Devon Brouse, and was made possible by major gifts from the Ackerman family as well as Samuel R. Allen (a Purdue golf team member in the mid-1970s), Mike and Kay Birck, and Fred Fehsenfeld. It was our desire to respect the Purdue South Golf Course tradition while giving the university and our local community, along with the Boilermaker golf programs, the very best collegiate golf facilities in the country. 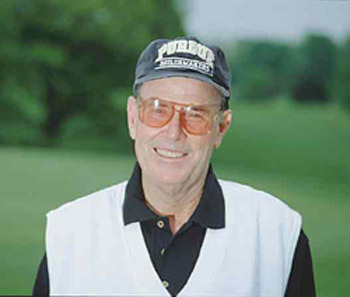 Upon its reopening, the course is now included on the Pete Dye Trail, which presently consists of seven unique and challenging golf courses throughout Indiana, including Purdue's Kampen Course. The Kampen Course hosted the 2003 NCAA Women's Championships and the 2008 NCAA Men's Championships.